We offer a wide range of Loop Calibrators, which is manufactured as per the set industry standards. Our range is designed to provide an excellent performance with a facility of loop power measurement. 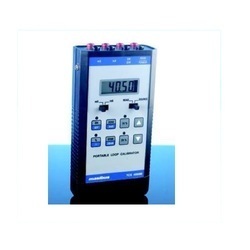 We manufacture light weighted, handy and portable current calibrators which are equipped with potentiometer free digital setting for a better functionality of our products. Our range is known for its high accuracy and high resolution with a display facility in value and percent. 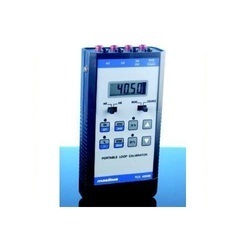 These loop calibrators are also equipped with sufficient power of rechargeable battery. 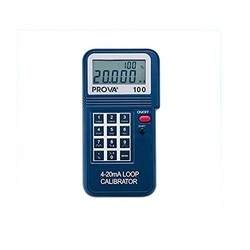 We offer wide range of Loop Calibrators Model- Prova 100. These calibrators are hoghly demanded in the industry. 0-100% input, step up and down. The extensive range of Temperature Simulator Model TCS 4060 offered by us is	micro- controller based equipment. These have are known for providing accurate results and for user-friendly menu driven operation. The 16 character x 2 line alphanumeric bold LCD display helps to show the results clearly. Looking for Loop Calibrators ?